Peter Jacob Braun, brother of A. Braun of Ibersheim, Germany, born 9 February 1880, Alexanderwohl, Ukraine, died 24 September 1933 at Oberursel, Taunus, Germany. He was married to Maria Friesen. He was graduated from the Zentralschule and the Teacher's Training School, both at Halbstadt. After having taught school he enrolled at the St. Petersburg Teacher's Institute for further training. Following his graduation he taught at the schools at Halbstadt from which he had been graduated, and from 1909 to 1914 at the girls' Gymnasium at the same place. After the war he served as principal of the Teacher's Training School at Halbstadt. In 1924 he left Russia for Germany where he died a premature death of tuberculosis. Peter J. Braun was an outstanding educator among the Mennonites of Russia. His article, "The Educational System of the Mennonite Colonies in South Russia," appeared in the Mennonite Quarterly Review. Braun, Peter J. "The Educational System of the Mennonite Colonies in South Russia." Mennonite Quarterly Review (July 1929): 169-182. Braun, Peter. J. Der Molotschnaer Mennoniten-Schulrat: 1869-1919 ; zum Gedenktag seines 50jahrigen Bestehens. Gottingen : Gottinger Arbeitskreis, 2001. Dyck, Harvey L. Recovering an inheritance: the Peter J. Braun Russian Mennonite archive, 1803-1920. Toronto : Conrad Grebel College/University of Waterloo Research Program in Russian Mennonite Studies, 1993. Epp, Ingrid I. 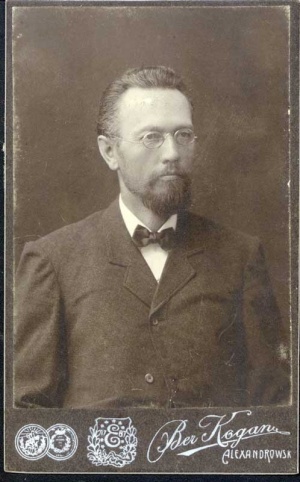 The Peter J. Braun Russian Mennonite Archive, 1803-1920: a research guide. Toronto : University of Toronto Press, 1996. Krahn, Cornelius. "Braun, Peter Jakob (1880-1933)." Global Anabaptist Mennonite Encyclopedia Online. 1953. Web. 24 Apr 2019. http://gameo.org/index.php?title=Braun,_Peter_Jakob_(1880-1933)&oldid=143501. Krahn, Cornelius. (1953). Braun, Peter Jakob (1880-1933). Global Anabaptist Mennonite Encyclopedia Online. Retrieved 24 April 2019, from http://gameo.org/index.php?title=Braun,_Peter_Jakob_(1880-1933)&oldid=143501.